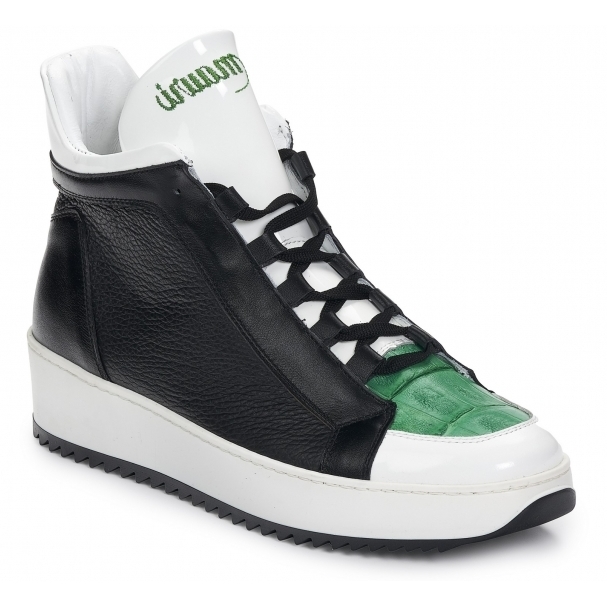 Awesome tri tone sneakers from Mauri, featuring patent leather, baby crocodile and anil calfskin. Rubber sneaker sole. Made in Italy.